برنامج Luminar هو محرر صور كامل المواصفات. وعشرات من فلاتر الصور مع تعديلات مخصصة ، وإعدادات مسبقة وأكثر من ذلك بكثير. كما يوفر Luminar واجهة مستخدم مبتكرة ، يمكن للمصورين ضبطها وتخصيصها وفقًا لأسلوب التصوير الفوتوغرافي ومستوى المهارات والتفضيلات. هذا يجعل Luminar أداة برمجيات صور شخصية للغاية ، مناسبة للمصورين من جميع مستويات المهارة. and features, including fast RAW support, layers, custom brush for selective editing, masking, dozens of photo filters with custom adjustments, presets and a lot more. Luminar also brings an innovative user interface, that photographers can adjust/customize based on the style of their photography, skill level and preferences. This makes Luminar a highly personalized photo software tool, suitable for photographers of all skill levels. Luminar is the world’s first photo editor that adapts to your style & skill level. It offers the versatility to support many different cameras available as well as styles of photography. and professional photography software, serving over 35 million customers worldwide. 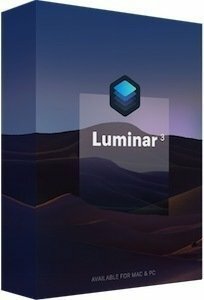 Luminar is truly a state-of-the-art tool for any photographer seeking to improve their photos.